Leica Magnus i 1.8-12x50 IR Rifle Scope. The new Magnus 1.8–12x50 i is an ideal addition to our high-quality Magnus line. 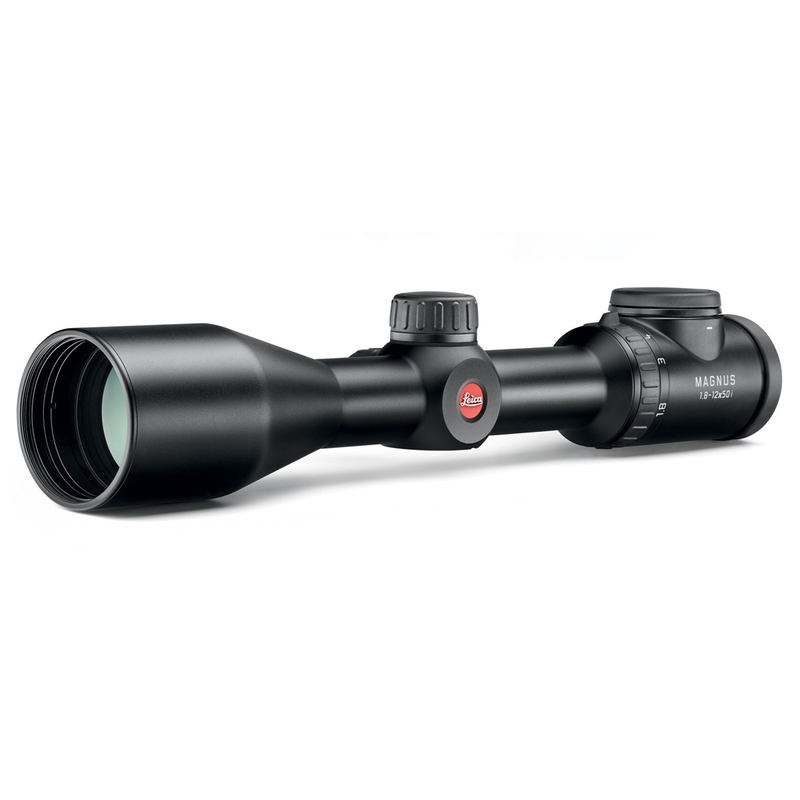 Thanks to its compact dimensions and a large, 50 mm objective lens, it is an extremely versatile riflescope for hunting from blinds and when stalking. Its outstanding zoom factor and a minimum magnification of 1.8x also make it the ideal choice for driven hunts. It combines benefits such as short overall length, suitability for a broad spectrum of hunting situations and easy mounting with the advantages of a first class optical system. For instance, the combination of minimal vignetting and the large, effective diameter of its objective lens, provides exceptional light-gathering ability and improves resolution of details from dawn to dusk. Every model in the Magnus i range features bright day/night reticle illumination. Thanks to a sensitive brightness control, you can always find the perfect level, letting you maintain focus on your target without being distracted by excess illumination. Uses CR2032 battery.